Experiencing Anderson Valley in Mendocino County is like stepping back in time. And what great timing my trip to this peaceful wine region was, just days after the announcement that Trump won the presidential election. If only I could have stayed in the bliss of Anderson Valley, which felt so insulated from the unexpected election outcome. Heading North on the 101 from my home in Sonoma County, I admire autumn's rainbow vineyards, the smell of wet leaves in the air and the cool breeze on my face with the windows partially rolled down. My husband and I are headed to Mendocino County's most well-known appellation, Anderson Valley, to do some exploring. Having been a longtime fan of the region's wines and only being located an hour and a half away, I am ashamed to admit that this was my first visit to Anderson Valley, but thankful to have finally begun my first trek. Once we reach Cloverdale, a sharp right turn onto the mountainous Highway 128 in the nether reaches of Sonoma County becomes a winding road for miles ahead. The drive is nearly 45 minutes of nausea-inducing turns and dips, but the views and forest smells are spectacular. The forested drive to Anderson Valley. About 15 minutes into the drive, you cross the Mendocino County border and the first appellation of the wine region is visible—Yorkville Highlands—with a sign welcoming you and a splash of vineyards along both sides of the highway, but they are a mere blip before the road once again becomes enveloped by the Live Oak and Redwood tree forests. We pass the sign for the town of Yorkville, which has a population of only a few hundred people. Continuing down the winding road, we finally drop down into the base of Anderson Valley—marked by the way the road flattens as we reach the slightly-larger town of Boonville, population roughly 1,000. It is the largest town in Anderson Valley and home to the iconic solar-powered Anderson Valley Brewing Company—and really, one of very few places to grab a drink past tasting room hours in this county. A few store fronts in the quaint town of Boonville. Once you pass through the town, and that only takes but a couple of minutes because there's only a couple stop signs, the valley's beauty becomes visible as the single-lane road stretches in front of us with vineyards lining the bench land of the hills. 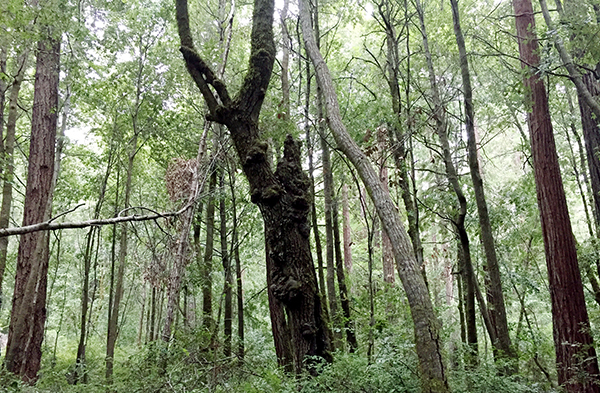 Anderson Valley is a narrow, 20-mile river valley that runs east to west between coastal mountain ranges. It stretches from the bottom at Boonville up through Philo and then to the top at Navarro. This appellation is the heart of Mendocino County wine country, and the most well-known, with the largest concentration of grapes planted than in any of the other ten nested appellations that lie within the larger Mendocino County Appellation. (There are also two new appellations currently pending approval.) The valley boasts a climate full of coastal fog, cool breezes and warm, sunny days—with that classic diurnal temperature range that suits Burgundian and Alsatian varietals so well. These conditions bring phenolic ripeness and bright acidity to the wines of this region, and it's no secret that Anderson Valley Pinot Noir is well respected in the worldwide wine community. Navarro Vineyards has been making wine in Mendocino County since 1974, well before the region had established its many appellations. If you love sparkling wine, then visit the iconic Roederer Estate, whose sparkling wines stand tall among the finest bubbles in California. 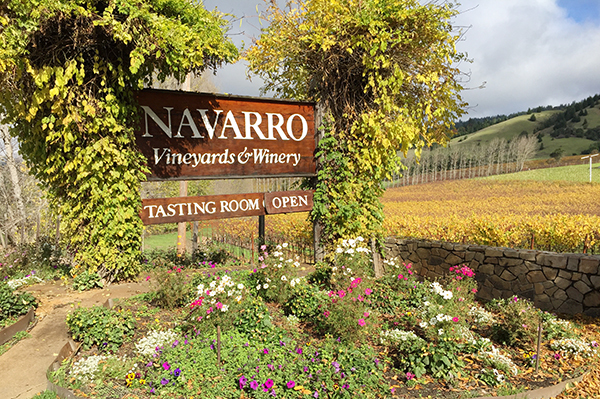 If you like a little bit of history with your wine, don't miss Navarro Vineyards—an estate that has been making wine in Mendocino County since 1974, one of the oldest in the region. If you feel the need to pair cheese with your wine, then head straight to Pennyroyal Farm, where you can enjoy a delightful cheese tasting alongside your wine flight on their outdoor patio. If you enjoy being adventurous and want to taste a range of varietals, then be sure to visit Brutocao Cellars, who offers everything from Pinot Noir to Primitivo. If you’re a wine-country foodie, Santa Rosa’s new City Garden Doughnuts & Coffee is sure to have popped up on your radar. With its grand opening today on National Doughnut Day—June 2—City Garden is primed to bring locals and visitors the highest quality doughnuts they’re ever tasted. Italian varietals are a-plenty across the vast appellations of the country. And while most of the red varietals are made for red table wines, there’s actually quite a few that are used for Rosé production as well.